Marilyn Earwood Mathews, 66, of Candler passed away March 31, 2019 at the Hospice Solace Center surrounded by her family, after a battle with Cancer. She was the daughter of the late James (JL) Lawrence Earwood and Ada Bell Earwood. She was preceded in death by two brothers, Billy Dale and David Lawrence Earwood. 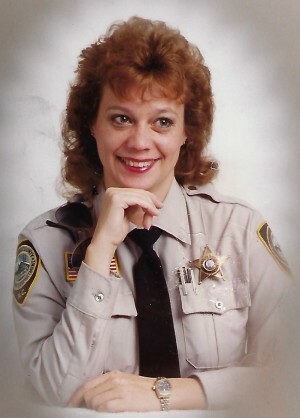 Marilyn was employed by Buncombe County Sheriff’s Department as a deputy and bailiff, for several years. She was an artist who loved painting. She also loved the ocean and spent many happy days at her beach home in Florida. Marilyn is survived by her husband of 39 years, Ronald Mathews of Candler; a daughter, Penny Mathews (Zack, Lilly, David) of Leicester; son, Mickey Mathews of Asheville; sister, Rose Mary McKinney (Roger), of Asheville; five grandchildren and four great-grandchildren and several nieces and nephews. A celebration of life will be held April 13, 2019 at 2:00 pm at Land of Sky Regional Council at 339 New Leicester Highway, Asheville, NC.